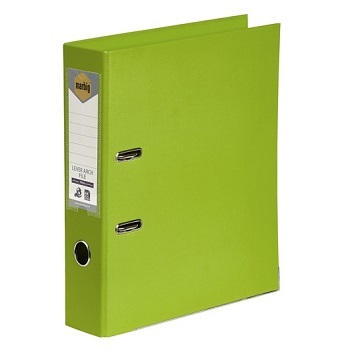 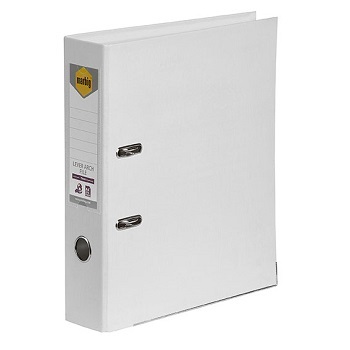 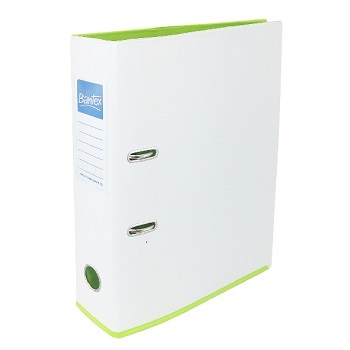 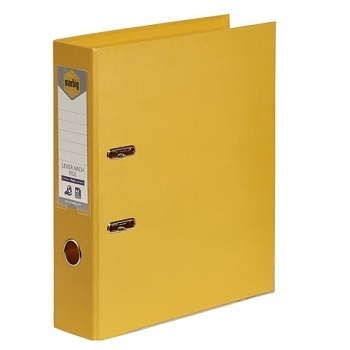 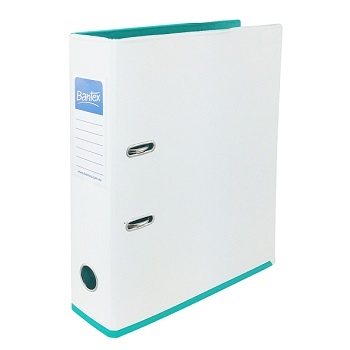 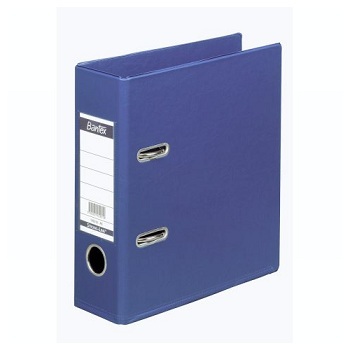 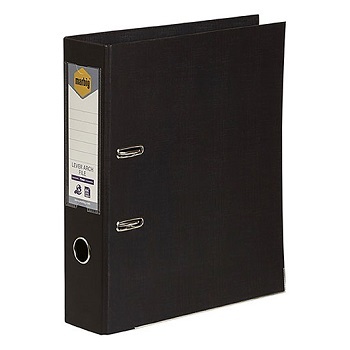 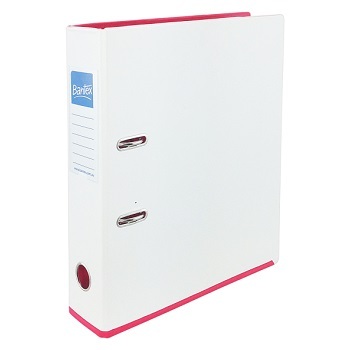 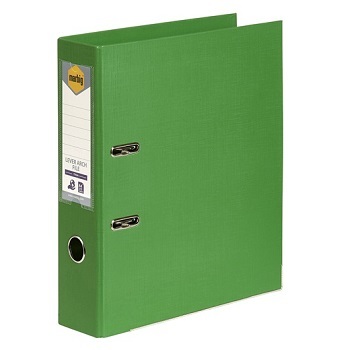 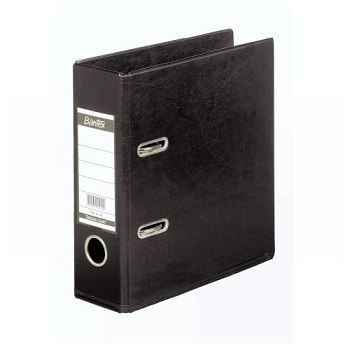 Extra Capacity Environmentally Friendly Lever Arch Files. 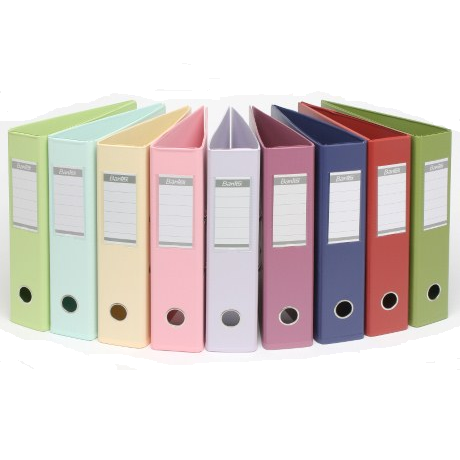 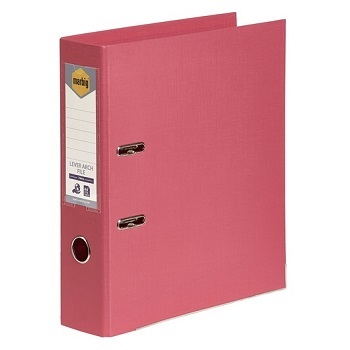 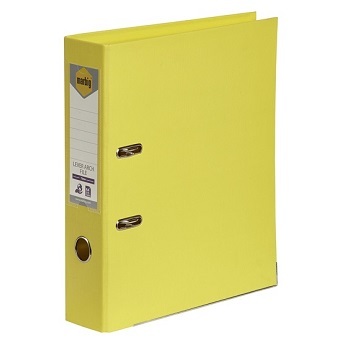 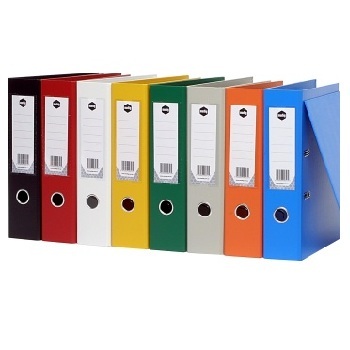 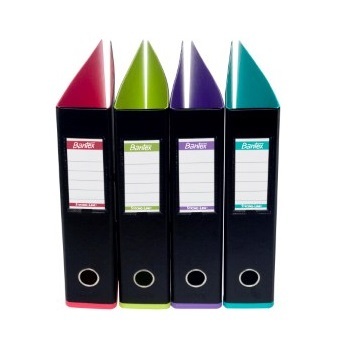 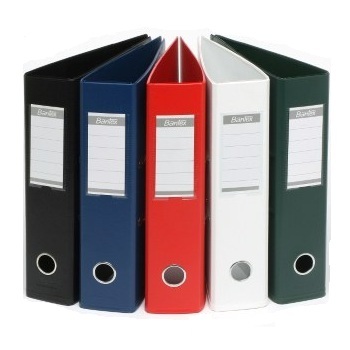 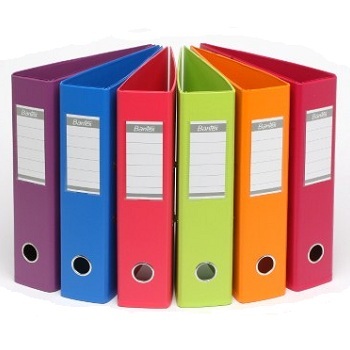 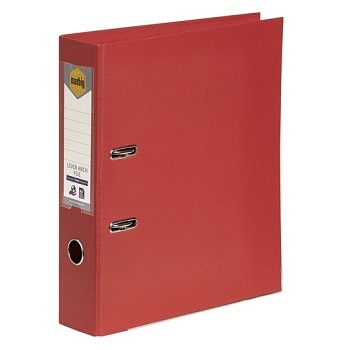 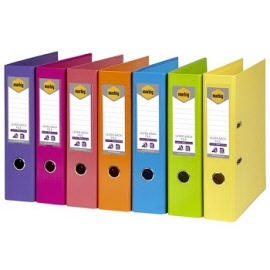 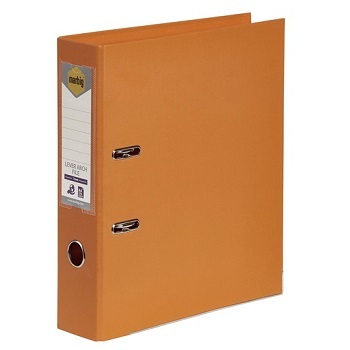 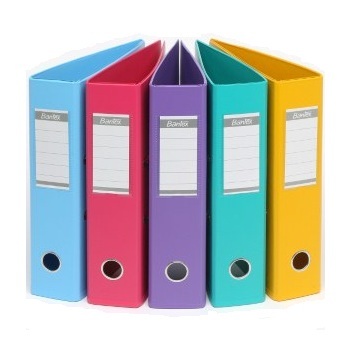 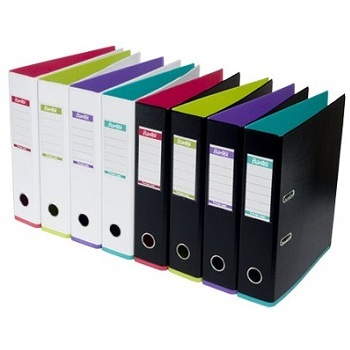 Marbig FC Lever Arch Files in standard, corporate colours ideal for colour coding documents. 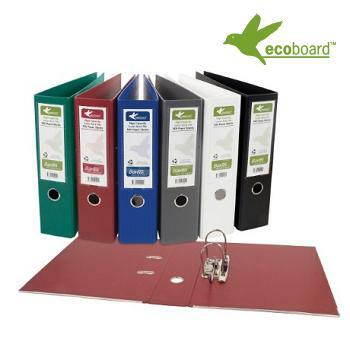 Made from durable PVC and 100% recycled board. 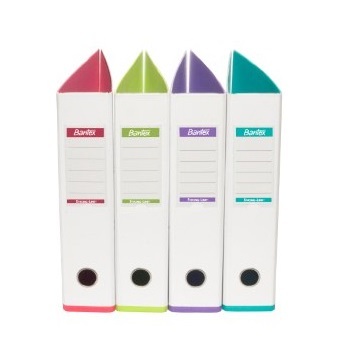 Insert spine label for easy identification of contents. Bantex Lever Arch Files with the same unique strong-line reinforced lower edge in striking, bold Fruit colour range. 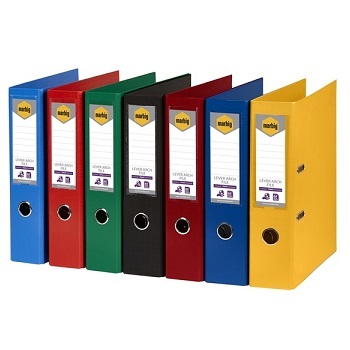 Bantex Lever Arch Files with the same unique strong-line reinforced lower edge in a dynamic, Vibrant colour range. 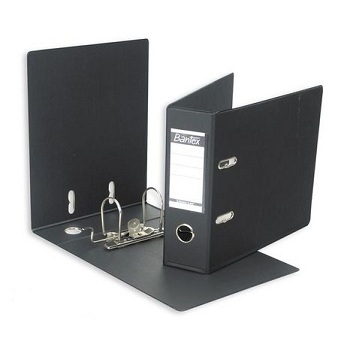 Reflect your personal style - from fun and fashionable to more conservative and professional - covering all your organisation needs. 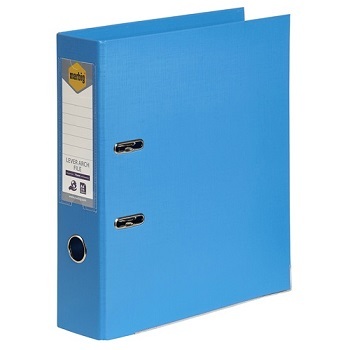 Note: Sold in cartons of 10 files only. 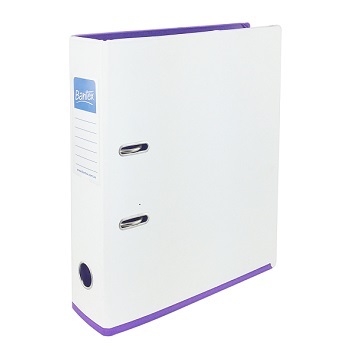 White assorted carton contains 2 each Lilac, Lime and 1 each Pink, Turquoise. 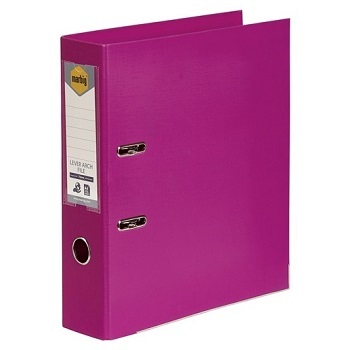 Black assorted carton contains 3 each Lilac, Turquoise and 2 each Pink, Lime. 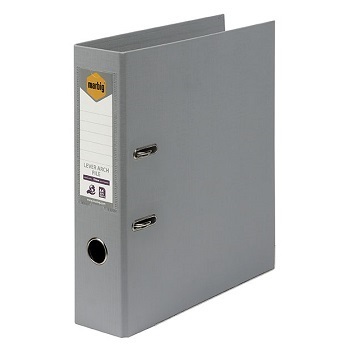 Available in standard and oblong (landscape) formats.